All of us recognise that water is needed in all aspects of our life and adequate supply of good quality water is critical for our well-being. Without water, development would also not be possible - it’s a common factor that cuts across all sectors of development. 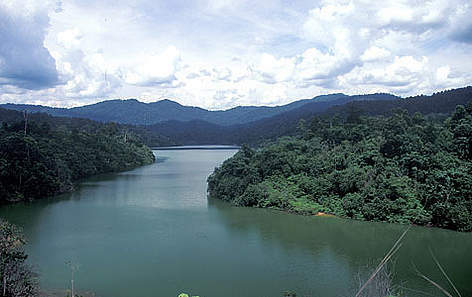 In Malaysia, we are blessed with an abundance of rainfall and water resources. It has been estimated that each of us enjoy a per capita renewable water of more than 5,000 m3 per person per year. When compared to water resources available to people in many other countries where the per capita renewable water of less than 1,000 m3 per capita per year are not uncommon, the amount available to Malaysians is enormous. Yet, we are faced by water shortages and crises in many parts of the country. Obviously, the shortages and crises are not caused by having too little water to satisfy our needs. Rather it’s caused by unsustainable management of water resources that causes many people and the environment to suffer. We must re-think the way we use and manage water, and recognise the link between water and the natural environment. Sustainable water use is a possible solution and approaches such as Integrated Water Resources Management (IWRM) offers great potential as the way forward for ensuring the sustainability of our water resources. The scope of IWRM is wide and it emphasises the integration of natural and human systems that include integration between the various components of water, and integration between water with the related land and environmental resources, and social and economic development. Sustainable water use through IWRM must happen at all levels and it needs to involve everyone from government agencies to private sector, NGOs, communities and individuals.